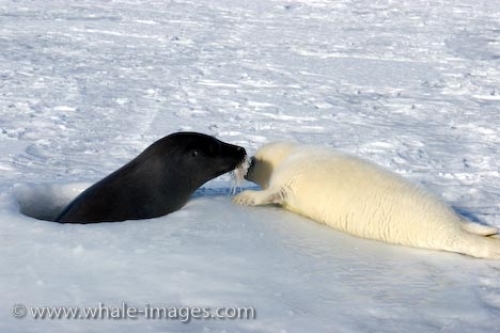 Order your quality photoprint of "Baby Harp Seal Mother Bonding" now! Have this image as a photoprint! (8x10 inch) Our Fine Art Photo Prints are printed on one of the highest quality Photo Papers available today which is especially produced for vivid color reproductions. Prints are delivered unframed, unmatted. Usually we ship prints within 48 hours via airmail. (12x18 inch) Our Fine Art Photo Prints are printed on one of the highest quality Photo Papers available today which is especially produced for vivid color reproductions. Prints are delivered unframed, unmatted. Usually we ship prints within 48 hours via airmail. (16x24 inch) Our Fine Art Photo Prints are printed on one of the highest quality Photo Papers available today which is especially produced for vivid color reproductions. Prints are delivered unframed, unmatted. Usually we ship prints within 48 hours via airmail. (20x30 inch) Our Fine Art Photo Prints are printed on one of the highest quality Photo Papers available today which is especially produced for vivid color reproductions. Prints are delivered unframed, unmatted. Usually we ship prints within 48 hours via airmail. Photo of a mother Harp Seal popping up from an ice hole and bonding with her baby around the Gulf of St. Lawrence, Canada. "Baby Harp Seal Mother Bonding" photoprint! Our Fine Art Photo Prints are printed on one of the highest quality Photo Papers available today which is especially produced for vivid color reproductions. Prints are delivered unframed, unmatted. Usually we ship prints within 48 hours via airmail.